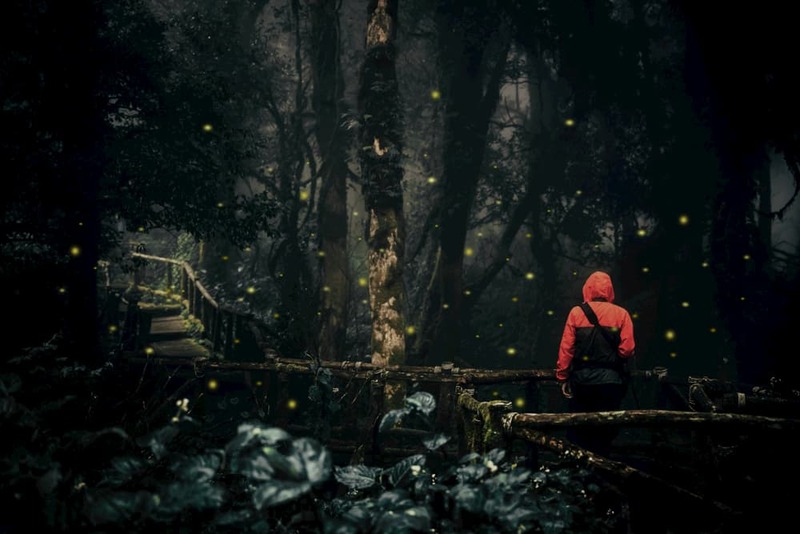 This article on synchronous fireflies in the Smokies is brought to you by Aftershokz, whose cordless headphones rest outside of your ears so you can still hear the sounds of the Great Smoky Mountains. Great Smoky Mountains National Park is known for many things. For one, it’s the salamander capital of the world. (We don’t know who gives that award, but it’s real!) The park is also home to hundreds of types of trees, 200 species of birds, 67 mammals, and over 17,000 types of insects—including the mesmerizing synchronous fireflies. Not to be confused with the other 18 species of fireflies in the park, synchronous fireflies are utterly unique, and can be identified via their flashing light patterns. 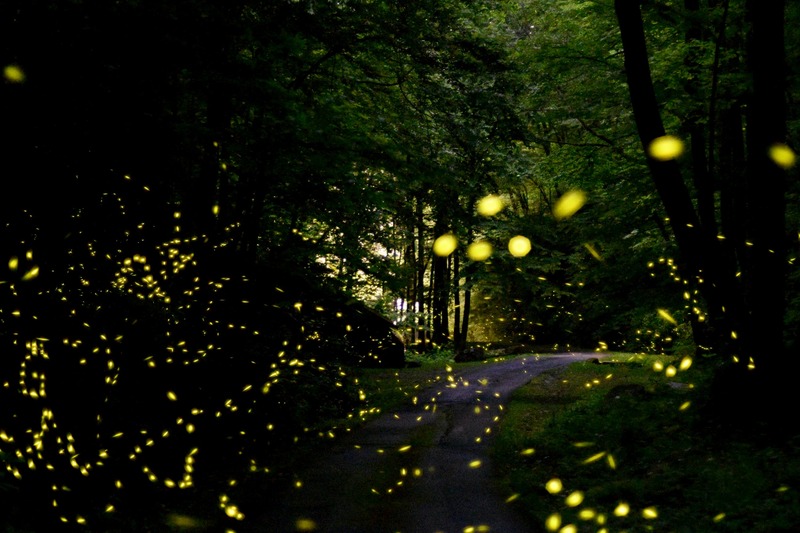 It was once believed that Great Smoky Mountains National Park was the only place in North America where you could find the synchronous fireflies. 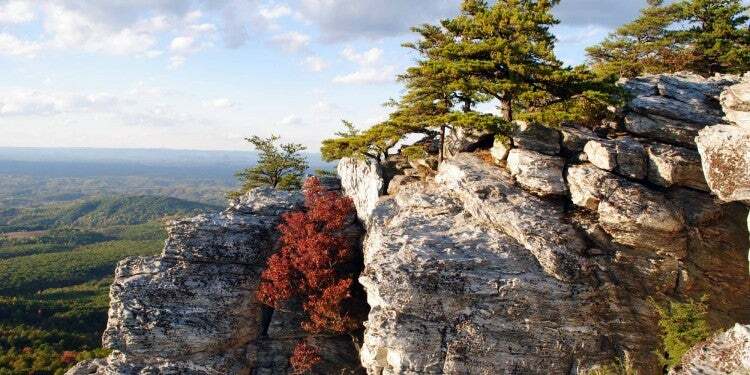 They’ve since been found in the Allegheny National Forest, Congaree National Park, and several other locations. But the Smokies remain the most popular destination for viewing this nighttime phenomenon. Technically, fireflies are a type of beetle. Albeit less creepy than the horn-rimmed smacker that Bugs’ Life made famous, fireflies take two years to fully mature, but live for only 21 days once they hit adulthood. This makes mating a huge priority for fireflies, and leads to the heavy light display periods that last over the span of a few weeks. Fireflies flash because of bioluminescence. Despite the fact that they’re technically beetles, fireflies are the only species of beetle that uses bioluminescence as a part of its mating ritual. Bioluminescence is caused by an amalgamation of the right chemicals (mostly luciferin and oxygen), which causes light to be given off without heat. Compared to a traditional light bulb, which functions mostly from heat, fireflies’ lights are completely self-generated, making it one of the most unique and fascinating aspects of nature. Fireflies flash when they are mating. Male fireflies fly and flash, while females usually remain motionless and flash. 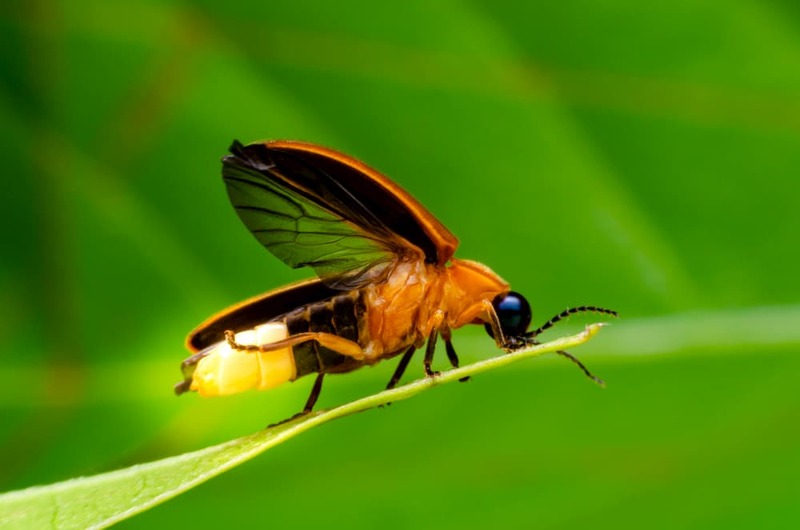 Due to the short lifespan of adult fireflies, they’re typically caught flashing for only a few weeks a year, beginning with a slower period of occasional flashing before moving into the phase of “peak display.” It’s during these phases, the peaks, that the synchronous fireflies are most striking. In certain parts of Great Smoky Mountains National Park, thousands of synchronous fireflies can be seen at once, creating a spectacular light show for visitors. Synchronous fireflies are the only species in North America that can flash in unison. Oddly enough, scientists and researchers don’t exactly know why this happens, and why it happens only in synchronous fireflies, but it’s speculated that flashing in unison is a result of the male fireflies’ desire to be the first to flash amongst all fireflies seeking a mate, thus producing a synchronous flash timed with the other mate-seeking fireflies. Other theories include a more cooperative approach to mating, with some researchers suggesting that the fireflies flash simultaneously in an effort to get the most attention, and to give females the best chance to make comparisons among competing males. Synchronous fireflies don’t always flash in unison. The reason for this is also unclear, but often has to do with the quantity of fireflies and the frequency of displays. Synchronous fireflies have been known to display in waves, with certain groups flashing in unison and others flashing randomly, or as a unit. In both cases, synchronized flashing periods are often short bursts, and conclude with sudden periods of darkness. Whether you’re on a day hike or a week-long camping trip in the always-free Great Smoky Mountains National Park, catching a light show by the synchronous fireflies is a matter of timing. Unfortunately, synchronous fireflies (and fireflies in general) are notoriously difficult to predict in their mating rituals. That said, there a couple of things you can do to try to catch the synchronous fireflies. Try to catch the peak season. The mating season of the synchronous firefly population in Great Smoky Mountains National Park typically runs for about a month, with two weeks of that month being the “peak” flashing season. While difficult to predict, synchronous fireflies usually mate sometime between the months of April and late June. Normally, the two-week peak is the optimal viewing season for synchronous fireflies, since the more of them there are, the more likely it will be that you’ll catch them in sync. 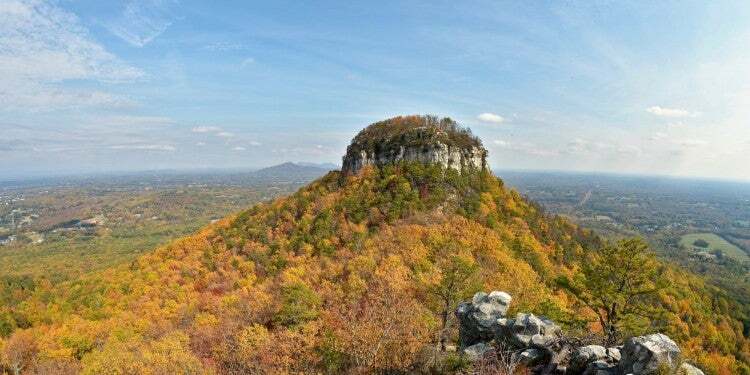 The “peak” flashing display is considered one of the most spectacular natural phenomena within Great Smoky Mountains National Park, so expect crowds during this time. Plan your visit for early summer. Synchronous fireflies are, like all other firefly species, affected by climate, weather patterns, and seasonality, so the hatches (and therefore the peak flashing period) vary depending on the type of weather and conditions of the soil in the park. In early hatching years, the synchronous firefly peak display period can be as early as mid-late May. In years where the larvae hatch later, the peak flashing is likely to be sometime closer to mid-June. 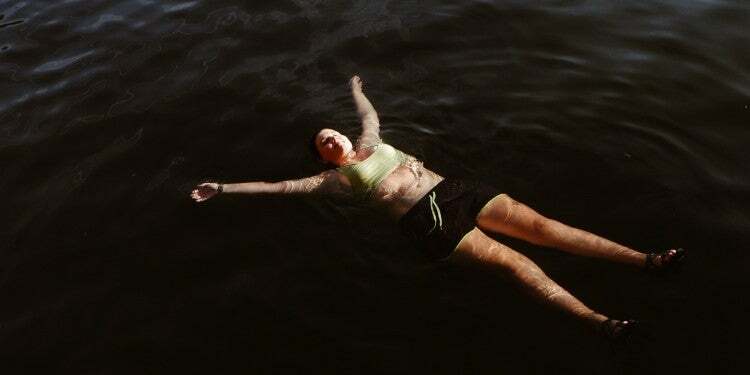 It’s rare to see them past June, so campers should aim for late spring or early summer for the best odds. Enter the lottery through GSMNP prior to visiting. Given the lack of light pollution in Great Smoky Mountains National Park, and the large number of synchronous fireflies that inhabit the area, peak display season can be a spectacular light show for visitors lucky enough to catch the fireflies at the right time. 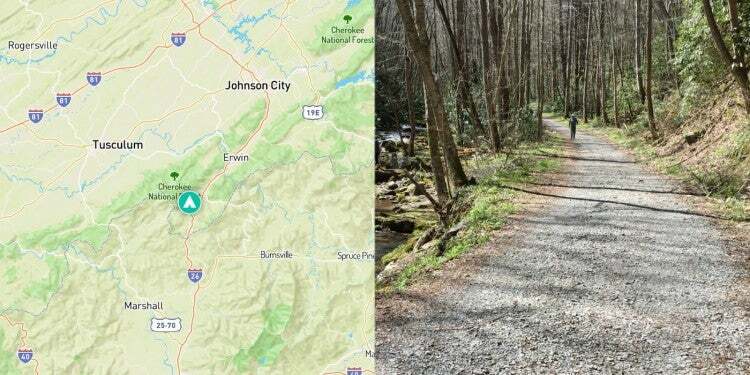 To accommodate the large number of visitors drawn to the natural display, Great Smoky Mountains National Park has created a lottery system through which visitors can obtain parking passes to the Sugarlands Visitor Center, which grants access to the firefly shuttle (yes, that’s a thing) to the Elkmont Viewing Area. While fireflies can be spotted in other areas of the park, the Elkmont Viewing Area is well-known as the best viewing location for large numbers of fireflies at once. The lottery opens Friday, April 26, 2019 at 8:00 am ET and closes Monday, April 29, 2019 at 8:00 pm ET. Applicants to the lottery are given the chance to choose two dates, one “preferred” date and one alternate choice. Hopeful light show attendees can visit the NPS website for more information on the synchronous fireflies and the lottery system. While seeing thousands of tiny lightning bugs flashing in unison can be exhilarating, there are a couple of things to remember before you make the trip to view a peak flashing display. Watch where you shine that flashlight. Don’t flash it in the air, at the trees around you, or at the sky. Keep your flashlight or headlamp trained on the ground, preferably with a dimmer (try red or blue cellophane). If your headlamp has settings, set it to the lowest brightness possible. Finally, when you get to the place where you’d like to sit and take in the fantastic display, turn your flashlight off and keep it off for the duration of the event. Even a little bit of artificial light can be the difference between a great light show and a lame one. Cameras and phones disrupt the viewing experience, too, so let the light show be the one thing you don’t try to photograph! 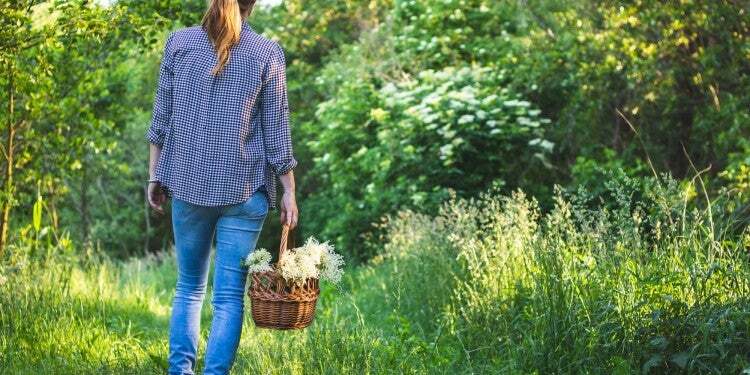 Protecting the fireflies means following Leave No Trace practices. Tempting as it may be to save some light in a jar, don’t try to catch the fireflies. Stay on marked trails, even if you think there’s a better viewing spot somewhere unmarked. Part of the success of the firefly population in Great Smoky Mountains National Park is their ability to remain largely undisturbed, both in their mating rituals and the rich, sensitive soil where they lay their eggs. Also (it should go without saying), pack out all of your garbage. Pick up a pair of Aftershokz’s bone conduction headphones today!